A little bit of baseball died on Dec. 31, 1972 when Roberto Clemente was killed trying to deliver food and supplies to the earthquake ravaged people of Nicaragua. Back in Clemente’s baseball hometown of Pittsburgh, a nine year-old boy cried for days over the death of his hero and vowed one day his hero’s story would be told. Baseball’s Last Hero: The Roberto Clemente Story is the first narrative feature film to be produced on Clemente’s life. The film, currently in pre-production, will set the stage for Clemente’s life on the field and off the field as well as what Director Richard Rossi describes as the great love story between Roberto and his family and fans. This film will showcase how he was the greatest right fielder ever, with a cannon arm and a grace that has not been seen before or since, said Rossi, who is also writer and producer, wrote some of the music and even has a small part in the film. Our goal is to release it next year, 2012, to coincide with the 40 year anniversary of Clemente’s heroic death to help others. He died giving. We want to honor him and pay homage to him. In an age where the big headlines in baseball are money, more money, and performance enhancing drugs, Rossi said Clemente exemplified the magic of what makes a truly great baseball player. Clemente had a true passion of the game. He loved to play. He wasn’t in it for the money as he could have easily left the Pittsburgh Pirates for greener pastures in New York or Los Angeles. He played his whole career for the Pittsburgh Pirates, Rossi said. He had a loyalty to the game and his team and the baseball fans. That is rare today. Rossi said his movie will obviously appeal to baseball fans but he thinks the story he is telling will also appeal to people who don’t care about baseball or even know who Clemente was or what he died doing. Rossi said the tragedy that enveloped the Clemente family could be taken right out of Shakespeare. He compares Clemente’s love to his wife Vera and the tragic, but heroic end to his life with Romeo and Juliet and the 1970 film “Love Story” which starred Ryan O’Neal and Ali MacGraw. Rossi said he has been fine tuning the script for 40 years, ever since Clemente died, but it wasn’t until a heart attack a few years ago that made him realize now is the time. Rossi is a self-described biggest Clemente fan on the planet and his home could easily second as a museum to the late right fielder. 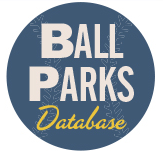 I love baseball because it connects to something really emotional, a seamless chord to memories of playing catch with my late father, to childhood summer days of rounding up neighborhood kids to play sandlot ball, he said. Clemente, who hailed from Puerto Rico, played Major League Baseball for 18 years (1955-72). He won the MVP award in 1996 and was also a 12-time All Star and 12-time Gold Glove Award winner. In his last at-bat he hit his 3,000th hit and was a lifetime .317 hitter. He played for the Pittsburgh Pirates his entire career and was selected to the Hall-of-Fame posthumously in 1973 being the only player to have the five-year waiting period waived to get into the HOF, since the rule was applied in 1954. Clemente spent much of his off-season doing charity work. While helping the Nicaraguan earthquake victims, he learned the first three relief planes were diverted by corrupt officials in the Somaza government. He hopped aboard the fourth plane in the hope that his presence would ensure the aid got to the right people. The plane crashed into the ocean immediately after takeoff. Clemente’s body was never recovered. Playing the role of Clemente is 2004 Olympic high jumper Jamie Nieto, who is also an actor. Nieto was encouraged to try out for the role because of his uncanny resemblance to Clemente. He beat out 3,000 others who auditioned. The role of Vera is being played by Puerto Rican Marilinda Rivera, a Project Runway winner who is also a model and actress. Rossi also wrote and directed “Saving Sister Aimee” (Academy Award-Considered), “Quest For Truth: An Expose of Exorcism and Faith Healing,” and ”Sister Aimee: The Aimee Semple McPherson Story.” Rossi is the author of the bestselling novel “Stick Man” and has acted in a number of other movies. 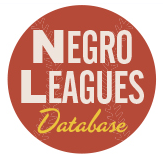 For more information on the film please visit http://www.kickstarter.com/projects/1156617899/baseballs-last-hero-the-roberto-clemente-story. Rossi’s goal for his movie is to have a big nationwide release and is currently raising funds for that endeavor. But he couldn’t have as there was as yet no free agency. How can you make that claim? I agree with Vinnie’s comment about free agency,but I suspect he meant 2 ‘tools’ Babe Ruth. Roberto and Mays were the only 5 ‘tool’ players ever. Roberto Clemente started in the Dodgers organization. He certainly would have had more media attention had he stayed with them. He chose the Pirates because of his passion to play. Because he was scouted and recruited to Dodgers minor league systmen when he was underage, the Dodgers hid him and were afraid others would steal him. They had an All Star outfield and planned to bring him up eventually and they didn’t want other teams to discover how great he was. The Pirates offered him a starting position in right field immediately. Roberto finally had the national stage in the 1971 World Series and was able to show the country what Pittsburghers knew all along, that he truly was The Great One. His 1971 World Series performance at 38 years old remains one of the greatest showcases of a 5 tool player in history. Originally Posted By ElfegoI agree with Vinnie’s comment about free agency, but I suspect he meant 2 ‘tools’ Babe Ruth. Roberto and Mays were the only 5 ‘tool’ players ever. I, likewise, echo Vinnie’s free agency point; moreover, the fact that the would-be chronicler of Clemente’s life story is unaware of this ‘trivial’ detail does not exactly inspire confidence in his endeavor, but more on that later. Getting back to Elfego’s central point, however, his respective 2- and 5-tool references have to be a couple of the silliest things I’ve ever heard. RC himself would blush. The only 5-tool players ever? Oh really??!! Do the names Mantle, Aaron, Al Kaline, Ken Griffey, Jr., Tris Speaker & Honus Wagner ring a bell? Getting back to Ruth, considering the fact that after five years in the league, he was well on his way to a Hall-of-Fame PITCHING career, the Babe might best be designated the only SIX-tool player ever. Seriously, though, Ruth, at least for the first half of his career, was as fully qualified a 5-tool designee as ever played the game, at least as OVER-qualified in his specialty as Clemente was in his. The pre-paunch Babe had speed to burn, as indicated by the 69 triples accumulated between 1918 & 1923, the first two of those being his final years in Boston when he was still pitching part of the time, thus playing only 225 games during that stretch. Moreover, Ruth’s outfield fielding percentage is just a few points shy of Clemente’s (which, I realize, in no way equates Ruth’s outfield play w/ RC’s never-ending supply of highlight-reel moment; indeed, had BR come anywhere CLOSE to equallin RC in wall-crashing catches, he’d never have stayed on the field long enough to amass those 714 dingers). What’s more, Ruth twice had 20 or more outfield assists in a season; he was in double figures 11 times and ended with 204 for his career, a tidy sum which of course can’t compete with Clemente’s scary career total of 266 but does come at least a bit closer when you realize Ruth played 131 fewer games in the outfield. All this being said, I applaud Elfego for bucking the conventional wisdom & including RC in the 5-tool fraternity. RC indeed had ALL he tools. And even though the power tools were employed sparingly, Clemente hit some of the most prodigious shots ever seen in various venues – e.g. Forbes Field, Wrigley Field, Candlestick Park, the Los Angeles Coliseum, and more. Originally Posted By ClementeFanForeverRoberto Clemente started in the Dodgers organization. He certainly would have had more media attention had he stayed with them. He chose the Pirates because of his passion to play. Because he was scouted and recruited to Dodgers minor league systmen when he was underage, the Dodgers hid him and were afraid others would steal him. They had an All Star outfield and planned to bring him up eventually and they didn’t want other teams to discover how great he was. The Pirates offered him a starting position in right field immediately. Roberto finally had the national stage in the 1971 World Series and was able to show the country what Pittsburghers knew all along, that he truly was The Great One. His 1971 World Series performance at 38 years old remains one of the greatest showcases of a 5 tool player in history. One can’t help but note that the online handle, ClementeFanForever, is doing double duty here, serving also as a link to Rossi’s upcoming film’s Facebook page. Should we then assume that CFF is simply Richard Rossi by another name? Or perhaps simply someone associated with the project? Whatever the case, these comments certainly display that distinctive mix of generic sentiment and incorrect detail which characterize those quotes actually attributed to Rossi. First of all, we witness, yet again, Rossi’s/CFF’s distressing lack of awareness that free agency as such is a relatively recent addition to the MLB equation, one which, in fact, was not made until AFTER RC’s demise. Rossi’s/CFF’s various pronouncements notwithstanding, Clemente did NOT choose the Pirates; on the contrary, the Pirates chose him. Indeed, for the majority of major league baseball’s history, up to and including Clemente’s era, the only such choice afforded any player was simply that of which team with whom to sign his initial contract. From that point forward, one’s autonomy ceased to exist; you were inextricably tied to one team for your entire career, unless and until, of course, that team decided otherwise. And of course, were you to BE traded, the identical power imbalance characterized your dealings with any and all subsequent employers. Oh, my. By the end the first clause of the first sentence, we’ve already gone far astray as the writer inadvertently conflates two separate occurrences – i.e. the discovery of Clemente, circa summer 1952, AND the signing of Clemente on February 19th, 1954. During the former, a tryout/clinic sponsored jointly by the Brooklyn Dodgers and Santurce Crabbers, RC was indeed underage, but that wasn’t, in and of itself, the reason for Brooklyn’s failure to sign him immediately. Rather it was that, as such, Clemente would have required his father’s consent to proceed; his father, however, had other ideas, insisting his son finish his final year of high school before leaving Puerto Rico to play. A year and a half later, when the Dodgers finally did sign Clemente, their failure to retain him on the big league roster had nothing to do with his age, nor, precisely, with their glut of outfield talent. More accurately, as recalled by then Dodger GM Buzzie Bavasi, it was the glut of BLACK talent which made RC’s inclusion untenable, at least in the eyes of owner Walter O’Malley. As Bavasi would tell it, O’Malley was concerned that Clemente’s addition might upset the delicate balance which prevailed in the Dodger clubhouse, generating backlash there and, perhaps, in the stands as well. According to Bavasi, who, along with then Dodger scout/coach Al Campanis (he of the aforementioned 1952 tryout), took the opposing view, lobbying on Clemente’s behalf, the Dodger owner found an unlikely ally in none other than his trailblazing star, Jackie Robinson, who argued that Clemente’s inclusion, most likely at the expense of a popular white player, George Shuba, would likely set back the cause of baseball’s integration at least five years. Getting back to the quoted passage, the concluding sentence – and the concluding clause of the first sentence (“… the Dodgers hid him and were afraid others would steal him. They… planned to bring him up eventually and they didn’t want other teams to discover how great he was”) – contains a considerably more mundane but equally crucial misstatement – i.e. mistakenly ascribing to the organization as a whole, points of view actually held only by one faction of same. Most certainly, said faction – i.e. 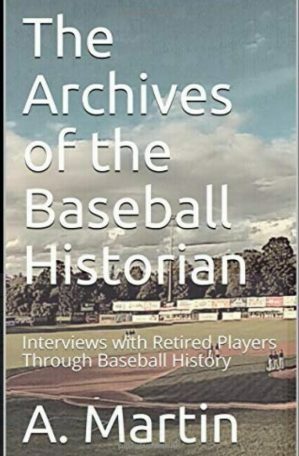 Bavasi and Campanis – did plan, or at least hope, to bring Clemente up eventually and thus hoped to somehow obscure their prize prospect’s astronomical upside in the interim. Unfortunately (at least as regards Clemente’s dwindling prospects for either Dodger immortality or frequent World Championships), the ‘faction’ who MATTERED, i.e. O’Malley, nursed no such hopes or plans, clearly considering Clemente’s presence as primarily a headache with which he was only too happy to dispense; if said headache’s receptacle proved to be the perennially cellar-dwelling Pirates, so much the better. And so, when Bavasi managed to devise a last-minute maneuver to forestall the Pirates’ avowed intention to claim Clemente in the upcoming draft, a plan, mind you, which required merely i-dotting and t-crossing from O’Malley and Pirate GM Branch Rickey (who, BTW, also happened to be the former Dodger GM – i.e. Bavasi’s predecessor and former boss and O’Malley’s former employee), it’s hardly surprising that the plan was ultimately sabotaged by a supposedly spontaneous shouting match between the two, whose participation in their mutual associate’s scheme was so decidedly half-hearted (O’Malley, for the reasons already outlined; Rickey, because the only reason he’d agreed to Bavasi’s ballsy request – i.e. that Rickey sacrifice a once-in-a-lifetime prospect – was to honor the somewhat generic ‘Call me if there’s ever anything I can do for you’ promise he’d made when parting ways with Bavasi a few years before). I’m a huge Clemente fan my whole life. I admire him as a man and a ballplayer. He was no doubt among the greatest ever to play baseball and one of the greatest fielding outfielders with a howitzer arm. But with the likes of Babe Ruth, Hank Aaron and Frank Robinson it would be an extremely tough call to make the claim that Clemente was the “greatest right fielder”. While Clemente was the far superior fielder to the aforementioned greats and he was a tremendous line drive hitter, he did not have the power for homers nor the ability to get on base, score and drive in runs as much as these three. There is no loss to say that Roberto is not the greatest. His life on and off the field was a rare gem and that should be enough. I truly hope the film does justice to the great Roberto Clemente. Al Kaline, Joe DiMaggio, Joe Jackson, Tris Speaker, Hank Aaron and Frank Robinson. And you’re wrong about the Babe and like too many who are used to seeing films of him older and heavier you’ve no understanding of his excellent play in the outfield, his speed and base-running skills. 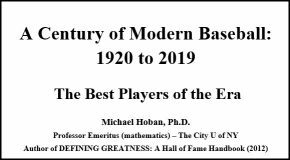 In a rare sense you could say that Babe was at least the only 6-tool player as he was indeed a great HOF calibre pitcher who held a record for consecutive scoreless innings in the world series that lasted longer than his single season home run record did. Great all round post. But do remember that one of the primary reasons for the Dodgers trying to get Clemente was to keep him from their cross-town rivals the then NY Giants. They did not want to see an eventual outfield with Mays and Clemente together. Another irony here is that the Braves offered Clemente the largest bonus. Had Clemente signed with the Braves he would have been on the same team as Hank Aaron. Consider the possibilities of either a Mays and Clemente or Aaron and Clemente outfield! If I’m not mistaken the Braves were after Mays too. I don’t recall why they did not sign him– but what an outfield that would have been. Mays always said the three of them together were by far his favorite outfield in the all-star games. Imagine then every day— a dynasty to rival the Yanks of that time no doubt! Thank you everyone for taking time to read this article about our film on Roberto Clemente and for all of your insightful comments. I am happy to update that we have wrapped principal photography. We’re half-way through editing the first cut of the film. Although the Kickstarter fundraising campaign has ended, we are still accepting tax deductible donations to finish the film. You can donate by e-mail, just go to http://www.paypal.com and send to the e-mail clementefilm@yahoo.com The website to see photos and clips is: http://www.facebook.com/clementemovie Thanks again for your support and love for baseball.